High-pressure water-mist systems have a name, and that name is Callies. The development of our high-pressure water-mist systems, which are designed for fire prevention and protection, has been guided by our many years of experience and knowledge gained in active service. For this reason, our focus was initially on the development of mobile high-pressure systems, which are now employed by fire services around the world and have proven their efficiency. With our pioneering work in this area, we have acquired an extraordinary wealth of experience in the development, design, and construction of water-hydraulic systems over many years. Our priority lies in securing economic assets to the fullest satisfaction of or clients and customers. In our view, the only way to achieve this is through top-quality systems engineering, a goal we strive to achieve without any compromise. For this reason, when we manufacture our products, we only use pumps, valves, and stainless-steel materials destined for a long lifetime. Our fire-extinguishing systems, which are customized according to the specifications of each of our customers, are designed by a team of experienced experts focusing on your specific needs. These systems may be adapted to general circulation areas as well as the protection of key industrial and manufacturing sites and facilities. 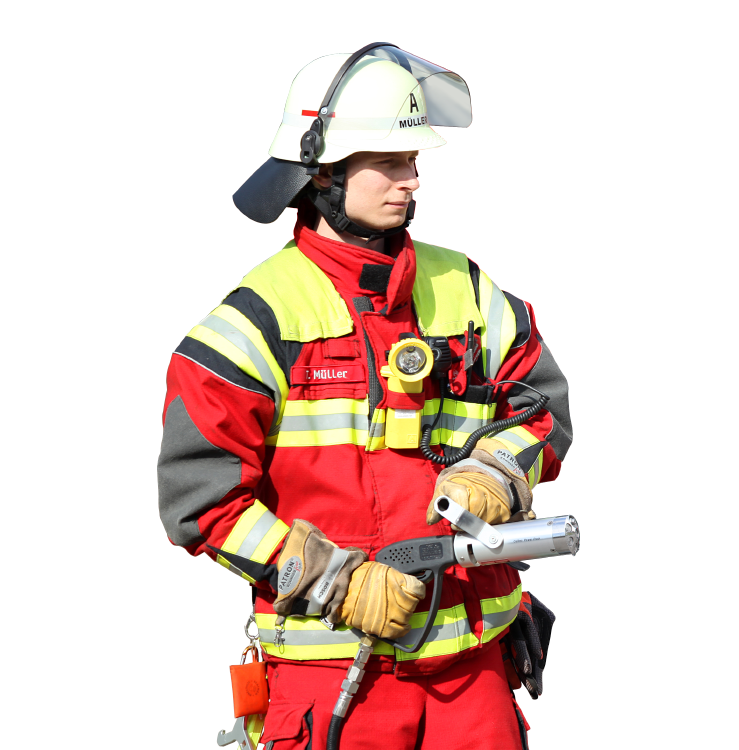 Callies GmbH thus offers an extraordinary range of high quality fire-safety equipment for all walks of life. With Callies, your project is in good hands! From the earliest planning stages on, we will support you with our comprehensive expertise in finding the perfect concept. You will benefit from the diverse education and training our engineers and technicians have received. In addition, all of them hold leading positions in the volunteer fire department. Whether it’s a mobile, a semi-stationary, or a stationary system in a building complex that you are looking for: our multi-talented team covers every field, from expertise in electrical engineering to the technical planning of fire safety in buildings. We will gladly furnish you with a cost estimate, based on construction and facility plans, and advise you on site. If you wish, we will contact a certified inspector of your choice at an early stage to ensure that the plans comply with all pertinent regulations. We are extremely meticulous when it comes to detailed design, which is either performed separately in a CAD system or, at the customer’s request, integrated into existing building plans. 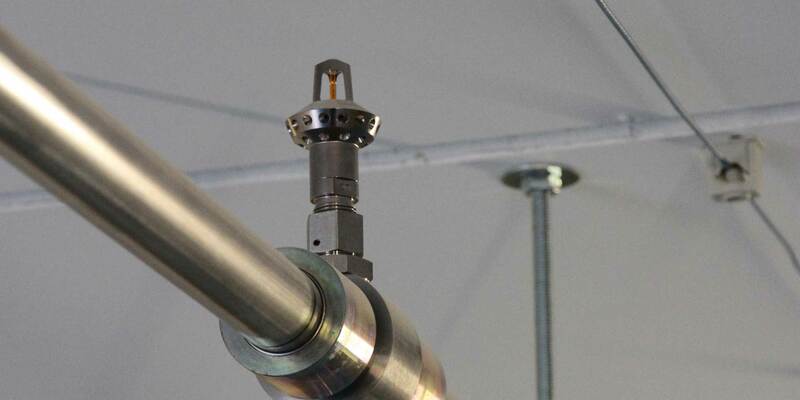 In addition, you will receive a piping and instrumentation diagram (P&ID), pressure-loss calculations, detailed technical documentation (such as data sheets, wiring diagrams), and a system owner manual for each system we supply. Coordination with fire-detection devices will also be handled by Callies. The setup of detector groups and the dispatch of fire-extinction commands under predefined conditions as well as the integration into fire-department guiding and orientation diagrams are also part of our planning. The assembly and installation of our systems is executed by a dedicated assembly team in close contact with our specialized construction management, which also visits the construction sites regularly and attends meetings, in order to give advice on complex issues wherever it is required. You may also entrust us with coordination with other crafts, such as electricians, fire-alarm technicians, or utility engineers. In order to provide you with the best possible advice, it is imperative that we have a complete and comprehensive overview over your vehicle-based and stationary system projects. In the case of a vehicle installation, we cooperate closely with our customer and the vehicle manufacturer. For projects involving the installation of stationary extinguishing systems, we will always seek an on-site survey with our customer-to-be, in order to obtain an overall impression of the surrounding conditions as well. Only this way will we be able to offer you solutions that perfectly meet your goals and needs. So we take the time to listen to you and thus build a solid foundation for a successful long-term partnership. The plans and data gathered and the common targets defined at the initial project survey will then be evaluated and summarized into a coherent concept. You will benefit from our specialists, our wide range of products and services, and our in-depth knowledge of the industry. With the proposal we make and the technical solutions we suggest – based on our profound expertise –, we will provide you with a dependable plan that suits your needs. In all this, transparency is of utmost importance to us. If you accept the technical solution we propose, we guarantee the competent and professional installation of the system plus our qualified and experienced pipe specialist’s excellent workmanship. We will stay closely in touch with our customers after the project has been completed. This allows us to respond quickly and flexibly to changing conditions, e.g. in production or storage, and to implement necessary adjustments with our well-assorted product portfolio on very short notice. If need be, we will work out a new protection goal, based on the existing pump system, with necessary alterations in pipe runs and/or nozzle arrangement. A personal consultation that focuses on the issues at hand will always be our priority. Anytime. Our specially trained project engineers and installation specialists will guide all of our projects to a successful conclusion – from engineering through assembly and installation to maintenance. 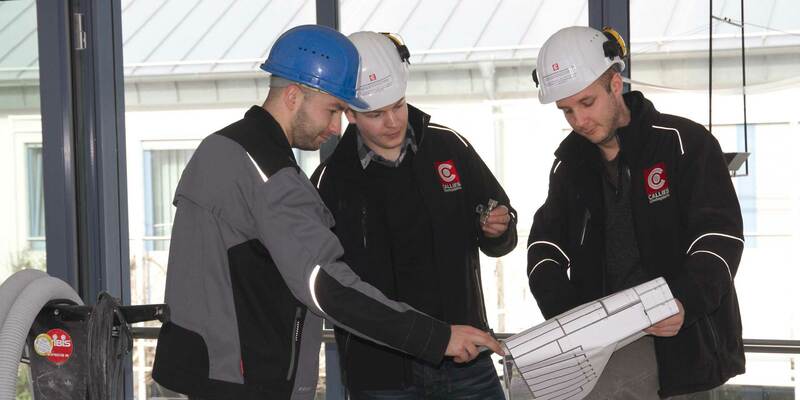 Our close cooperation with surveyors, inspectors, and testing engineers creates transparency and trust right from the outset. A high-pressure water-mist fire-extinguishing system protects material and cultural assets, critical infrastructure, hazardous operations, safety labs, and, not least, human beings against the dangers of fire – 24/7. For this reason, Callies GmbH can also be reached 24 hours a day every day of the year – in case our services are needed, despite regular maintenance. With a simple phone call to our stand-by staff, our contract clients will receive immediate qualified service from our engineers and technicians. If a technician has to be dispatched, we will make a short-term appointment, in order to minimize your downtime. You will benefit from the wide range of spare parts we keep in stock and from our expertise, but also from the reliability of supply from our renowned long-time system partners, such as Danfoss Semco A/S.